Stay cool morning, noon, and night! Guzzling an iced drink is the quickest way to cope with the summer heat. Whenever it gets hot, it’s more important than ever to have your eight cups of water each day. But you don’t always have to get your H2O from a plain glass of water. You can get protein and nutrients, or a little flavor, with your recommended daily amount of fluids, too. 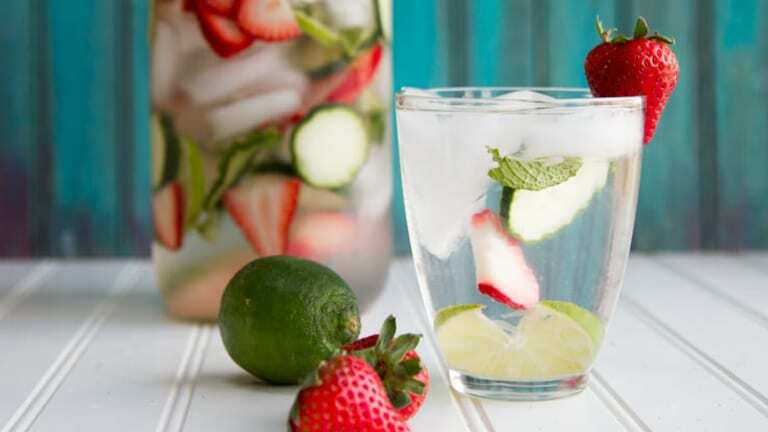 Whether you’re looking for a healthy start to your day, an afternoon pick-me-up, or the perfect drink to unwind with, we’ve rounded up simple summertime refreshers suited for every time of day. Start your day right by drinking your breakfast. 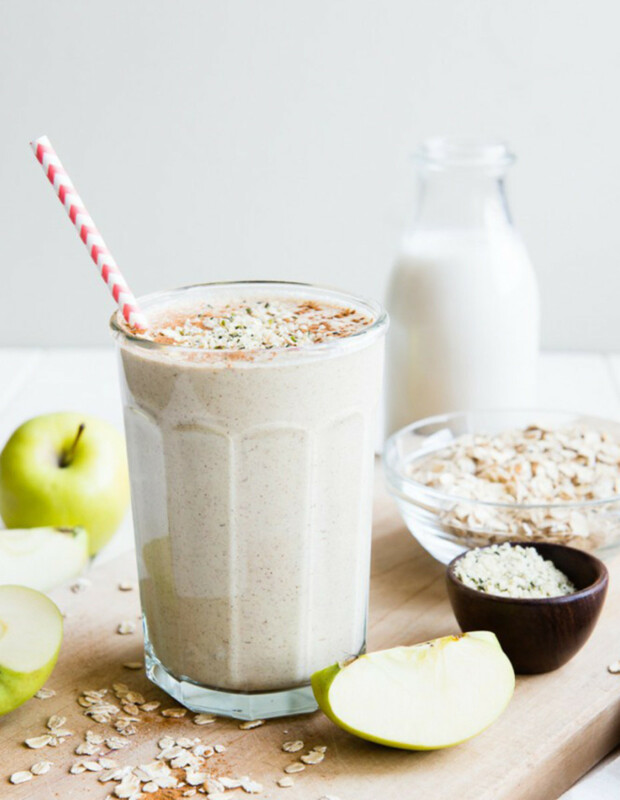 This powerhouse smoothie by Lulu the Baker has it all: protein, natural sugar, fiber, and omega-3 fatty acids, some of your most essential daily nutrients. 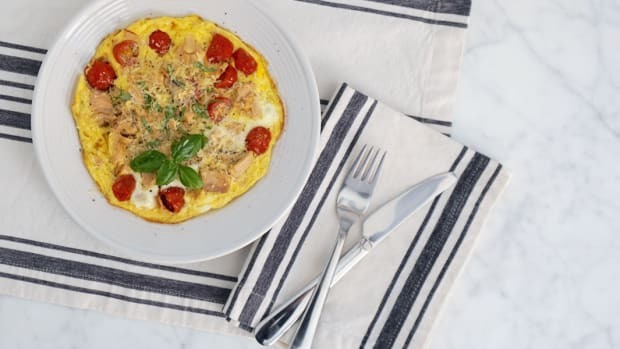 Basically the equivalent of oatmeal in a cup, this drink is perfect as a stand-alone meal or supplemented by a healthy breakfast like eggs on whole wheat toast. If you have to jump through all kinds of hoops to trick yourself into drinking enough water, this is the perfect way to hydrate and still satisfy your tastebuds. 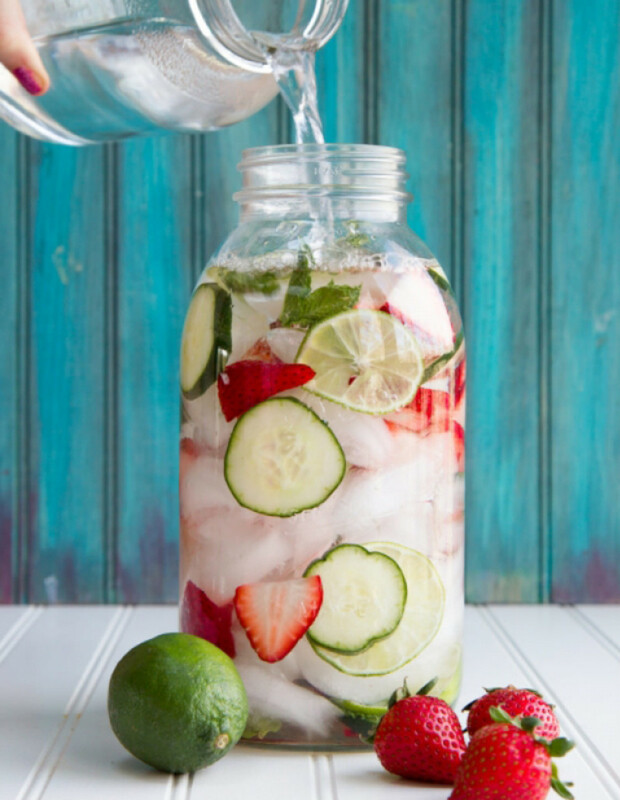 So stay healthy and energized by adding natural sugars—and flavor!—to your water. Start with Back to Her Roots’ revitalizing fruit and herb medley, but don’t limit yourself—try watermelon, blackberries, or pretty much any other fruit you find in your fridge. Mix and match the combinations to try something new, and substitute mineral water or coconut water for an extra zing. Brunch was made for lazy summer weekends, so why not celebrate with a juicy, seasonal cocktail? Savor sleeping in, and sip on summertime with champagne and peaches in season right now. Stephanie of Eat. Drink. Love. 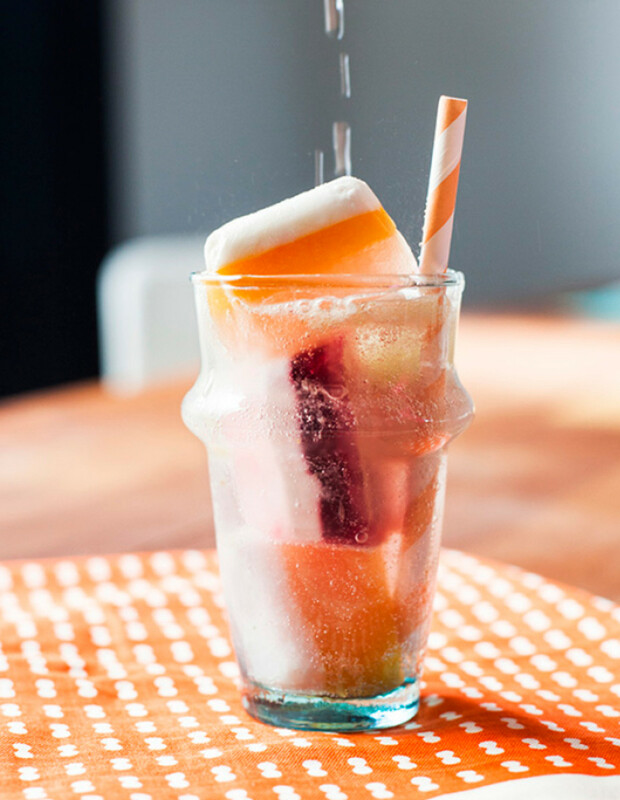 uses frozen peaches to create a cocktail perfect for summertime. 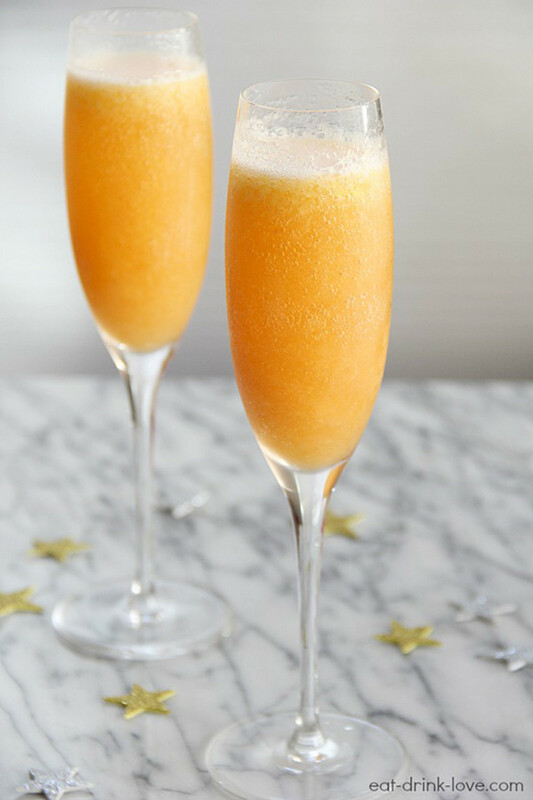 Whether you’re hosting brunch for the girls or simply want to treat yo’self, the Bellini packs an I-woke-up-like-this sparkle. Reminisce about your kiddie lemonade stand days while lounging on your back porch sipping this big-girl refresher. 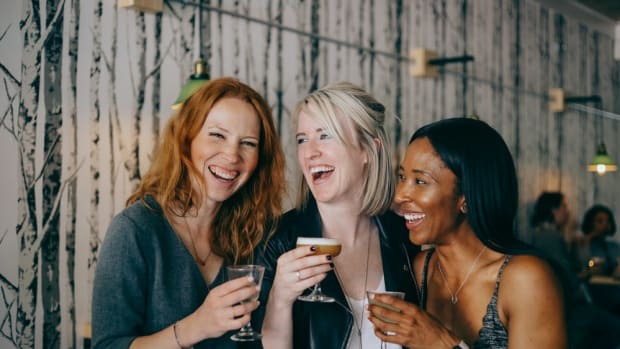 Matcha is a gentler afternoon pick-me-up than coffee with less acidity (making it easier on the tummy), about half the caffeine, and a bundle of antioxidants. 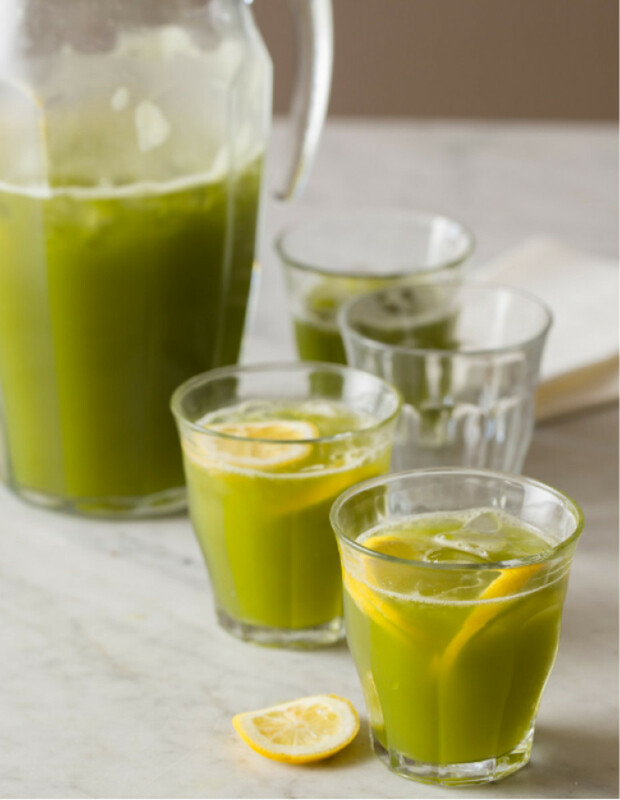 Make yourself a pitcher of Spoon Fork Bacon’s green tea lemonade in the morning for refillable refreshment all day long. If you’re still having trouble sipping enough H2O, cool down and drink up with Oh Joy!’s flavored ice cubes. But don’t just save these for water—you can use these gems to add immediate class to any beverage you want crystal cold. Drop into cream soda for a Pinterest-worthy party drink or float in a bowl of punch for glamour. Your drink will stay chilled, mouthwatering, and eye-catching. 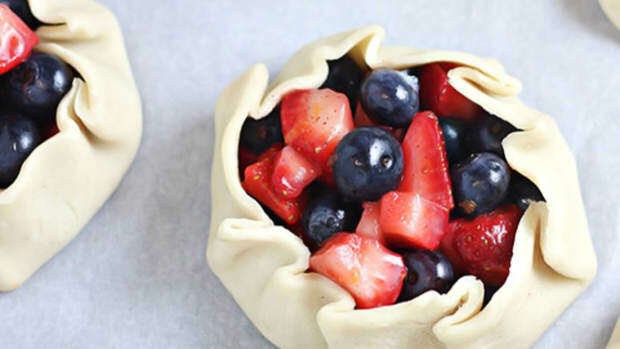 Get your daily dose of vitamin C with this short and sweet recipe from Honestly. 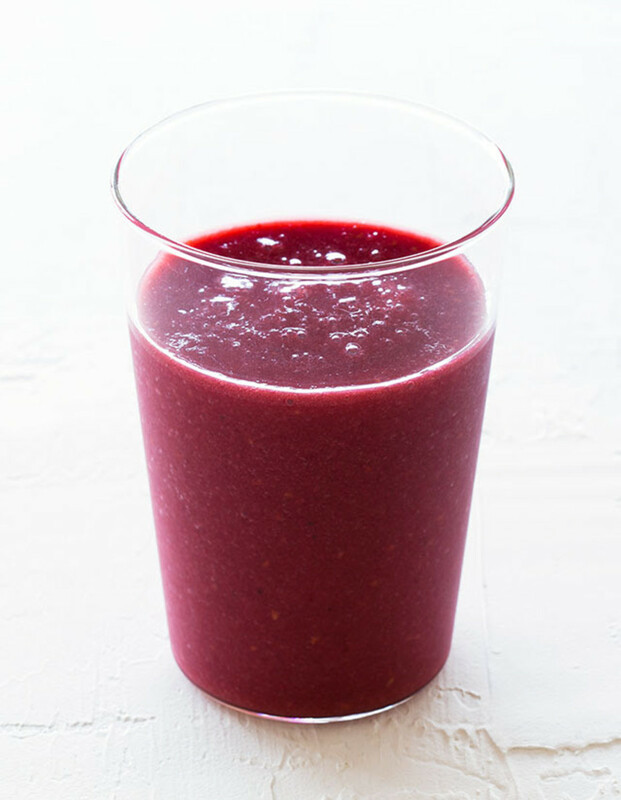 Just watermelon, raspberries, and basil, this smoothie is thirst-quenching and packed with heart-healthy antioxidants. This is just the elixir to satisfy your sweet tooth without getting a sugar rush. 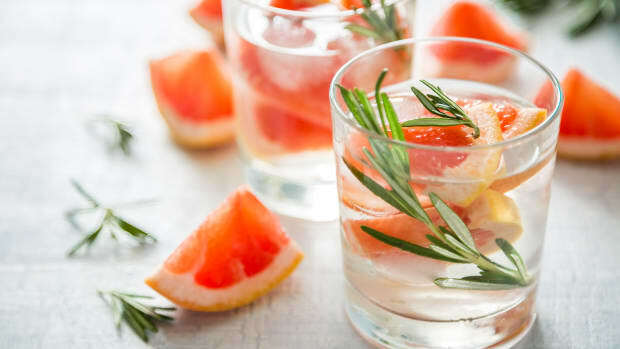 Grapefruit and tequila never looked so good together. 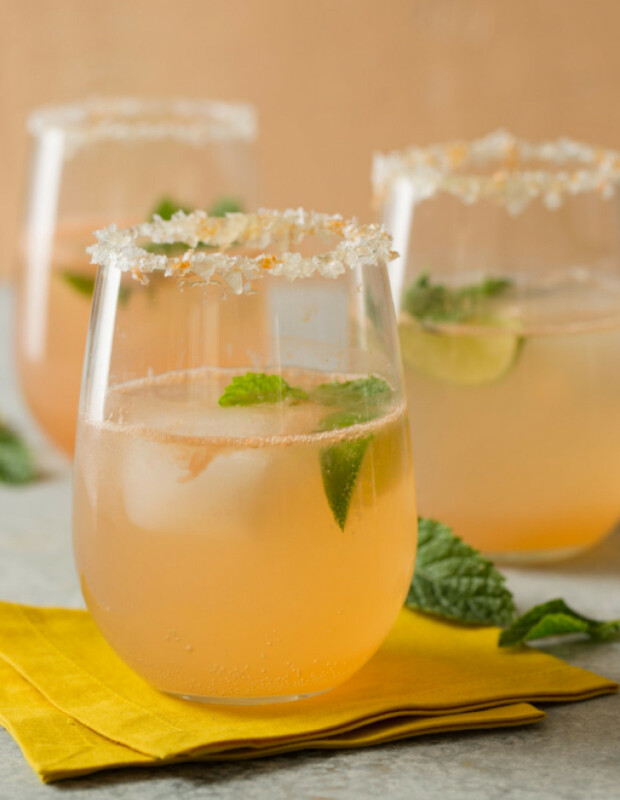 Unwind after a hot summer day with a tangy citrus cocktail, complete with a honey and salt rim. Spoon Fork Bacon recommends juicing your own grapefruits for a fresh zing, and don’t forget to top it all off with a lime wedge. For those who prefer beer, try this half-alcohol, half–heavenly lemonade concoction, another winner by Spoon Fork Bacon. 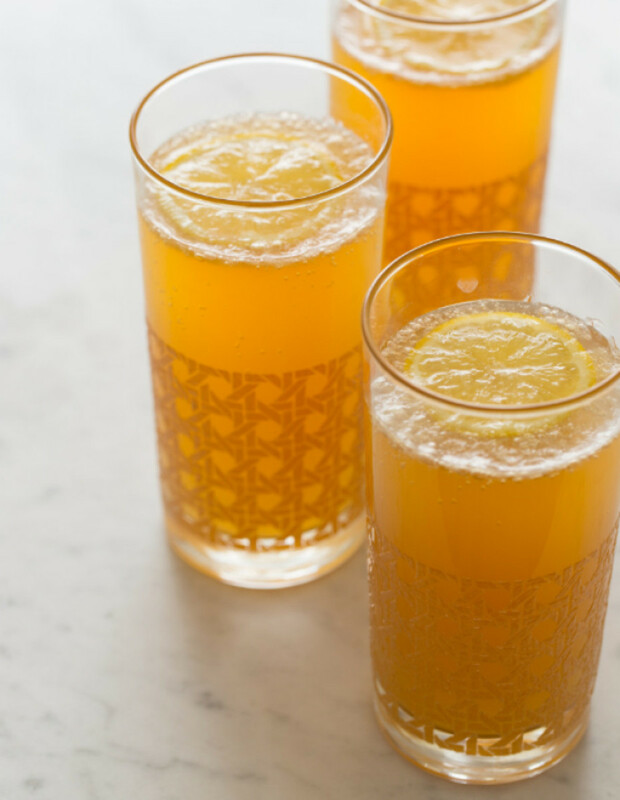 Top your pale ale or craft beer with sparkling lemonade for a beer cocktail that is light on the booze and heavy on the brightness. The nonalcoholic spritzer doesn’t get any easier than this. 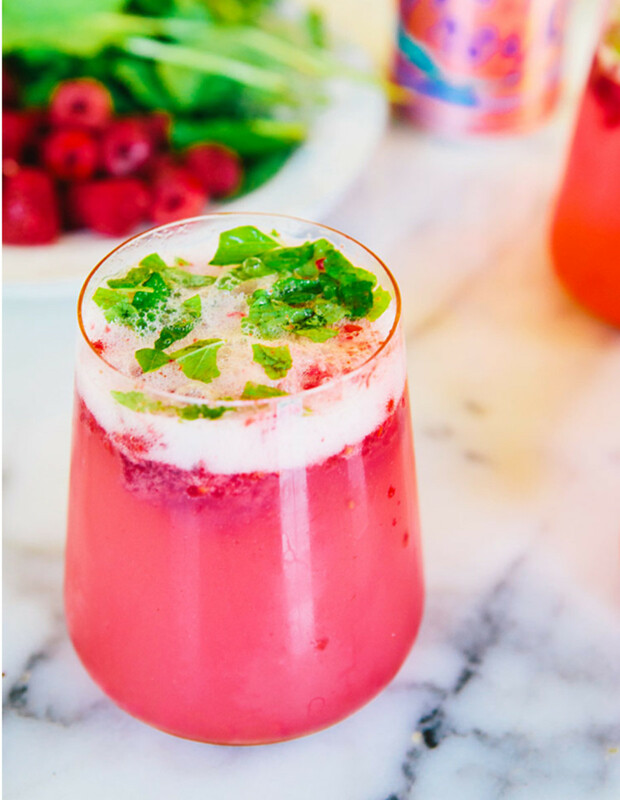 To relax with this twilight treat from A House in the Hills, simply crush raspberries and mint leaves over flavored sparkling water. Enjoy under a canopy of outdoor string lights or cozied up in white linen sheets. 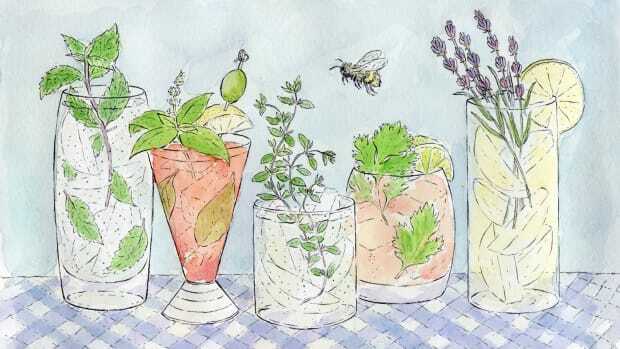 Whatever your cup of (iced) tea, try one of these refreshing drink recipes, and you’re sure to find your favorite to chill with come morning, noon, and night. There’s nothing quite like adding some handpicked leaves to your beverage or meal. Winter has arrived, and the cheery holiday libations are upon us! 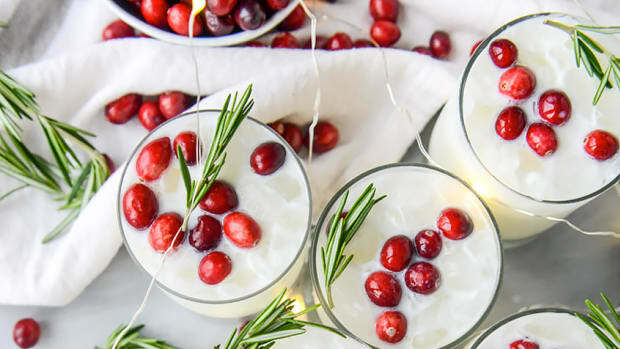 Skip the candy for these festive beverages. Reclaiming lunch hour will make your midday meal the high point of your week. When you feel thirsty, you’re already in the early stages of dehydration. Cool and clean desserts made of three ingredients or less never tasted so sweet. 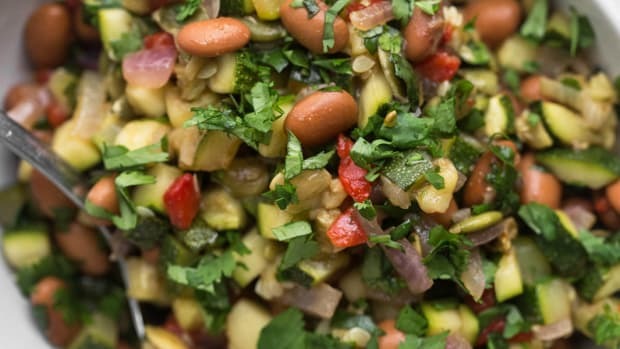 A healthy life doesn’t have to be overwhelming, expensive, or time-consuming. 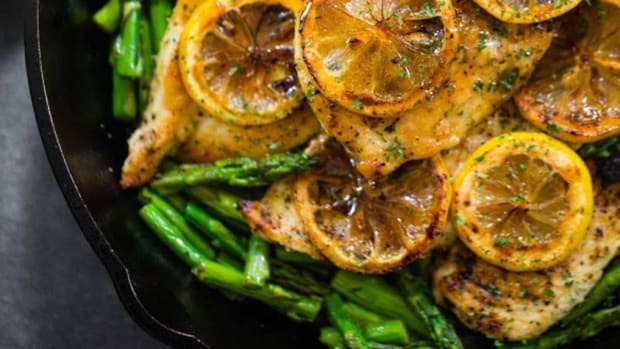 Take the stress out of meal planning with these awesome ideas.